Guide young people to make good decisions — when you're not around. "Dr. Ned Hallowell" will share a great deal of insight about positive parenting and what parenting is all about -- slowing down and taking the time to be with children instead of constantly rushing. Dr. Ned Hallowell is speaking in Westford next Monday night, March 12. He has written several books on ADD and ADHD. 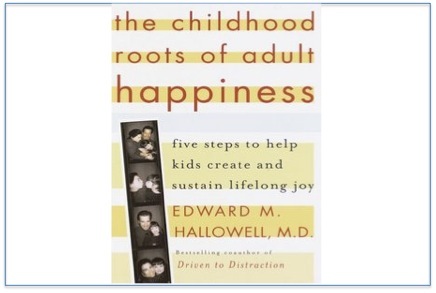 My favorite book he has written is “The Childhood Roots of Adult Happiness.”I LOVED this book. I heard Dr. Hallowell speak in fall 2010 in Ayer, and he shared many good stories, insight, and advice with humility and humor. Whether or not you have read any of his books, this talk is worth hearing. You will come away with some good ideas about how to be a better mother or father. The Westford Parent Connection is sponsoring the free event – The Distracted Family: Overstretched, Overbooked, And About To Snap at The Westford Academy Performing Arts Center, 30 Patten Road, Westford, MA 7:00-9:00 pm. For more information go to: http://www.westford.com/wpc/events.htm or to www.drhallowell.com. Raising Able Children: how to nurture capable confident young people syndicates its weblog posts and Comments using a technology called RSS (Real Simple Syndication). You can use a service like Bloglines to get notified when there are new posts to this weblog.